Make ahead meals are the perfect solution for busy moms. I should know it's what my whole site is about. And Make Ahead Meals for Busy Moms is the perfect cookbook for anyone looking to spend less time in the kitchen who is learning what time saving methods are best for their family. Although not every recipe in Jane's book are for freezer meals, they are all designed to save time by preparing meals or meal components at least a day in advance. Make Ahead Meals for Busy Moms uses an array of techniques to help save time in the kitchen including utilizing the freezer, advanced preparation, crock-pot and simple ingredients. The book boasts over 140 recipes for breakfast, appetizers, dinner, sides, soups and desserts. 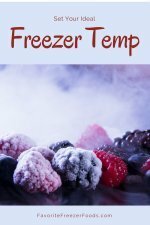 There is even a chapter of helpful tips to help you get acclimated to freezing, adapting recipes to your family and lifestyle, prepare ingredients ahead and save money at the grocery store. The look and feel is simple and intuitive but the typeface is a bit large. There are no pictures, unfortunately, and there are no nutrition charts either. The directions are very complete and easy to follow even for beginners in the kitchen. And there are more complex dishes for advanced cooks too. There are some twists on family favorite comfort food and some more unique recipes you've probably never tried before. Make Ahead Meals for Busy Moms includes an abundance of Italian, Mexician and American dinners and plently of dessert recipes. 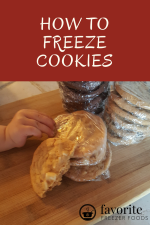 The freezable recipes include pre-assembly, freezing and reheating directions but sometimes the freezing directions are separated with a subheading and sometimes they are included with directions. Just a few of the recipes call for brand names and a handful call for processed items, like Cheeze Whiz, but if you skip those you still have over a hundred recipes to choose from since they are mostly from scratch with common, easy to find ingredients. Some of the recipes utilize things like prepared biscuit dough dough, pudding or cake mix to save time but you can make those things on your own if you have the time. All the recipes have descriptive titles which means you can actually find the recipe you're looking for by title, a huge plus since the index is by recipe title. It would be nice to be able to search by ingredient or time saving method (freezing, crock pot, 1 day ahead etc. ), maybe she'll add that in the next edition. So, if you're looking for a book full of inspiration to plan ahead in the kitchen and eat more home cooked meals without struggling to find time to cook here it is. You can also get recipes, tips and more from Jane Doiron at her blog, Make Ahead Meals for Busy Moms. Disclosure: I received a free copy of this book to review from Jane Doiron. This review is my un-biases opinion of the book. Return from Make Ahead Meals for Busy Moms Review to the homepage of Favorite Freezer Foods.